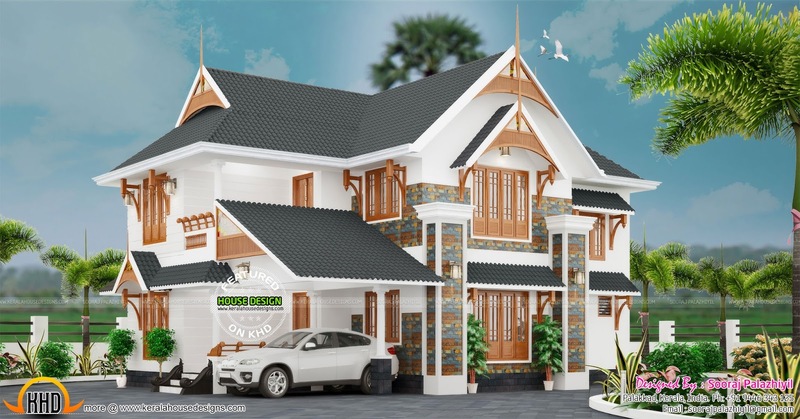 Elegant looking modern house in 2900 Square Feet (269 Square Meter) (322 Square Yards). Designed by Sooraj Palazhiyil, Palakkad, Kerala. Total area - 2900 sq.ft.